The BOM has established a Students’ Council in fulfilment of section 27 of the Education Act, 1998. The Board acknowledges the valuable contribution that students can make to the effectiveness of their school and considers their meaningful involvement in the operation of the school to be a valuable part of their education process. A financial grant is made available to the Students’ Council by the BOM each year to help cover its expenses. The Students’ Council operates in accordance with its constitution for conducting its meetings and business. This constitution is included in Appendix 5. The Principal and/or Ms. A. Gunning will attend all meetings of the Students’ Council in a non-voting capacity. Meetings of the Council will generally be held on a fortnightly basis at lunchtime. The Students’ Council will be assisted throughout the year by a member of the school’s management team, Ms. Gunning. The above calendar of events is not exhaustive. Other events may be planned by the Council as it sees fit. Layla Fenlon, Emma O’Leary, Alannah Kelly, Shania Quigley, Laura Furlong, Sophie Dempsey, Ella McKiernan and Clodagh Wilson. The student council have organised an Easter egg hunt for Friday, April 12th. Chocolate eggs will be hidden, weather depending, outside or inside the school. Golden eggs/tickets will also be hidden and the prize for finding one will be a large Easter egg. Anna and Leah offered to take charge of buying 3 large eggs, 8 medium eggs and 10 bags of small eggs as well as the golden ones to be hidden during the hunt. Roles for jobs such as hiding the eggs, handing out prizes and making announcements will be finalised at the next meeting. The costume themes for each year group for sports day have been chosen. 1st Years are Disney, with the classes being divided into 1.1 as Marvel, 1.2 as Classics, 1.3 as Disney Channel Original Movies, 1.4 as Moderns and 1.5 as Pixar. 2nd Years are Memes/Vines. 3rd Years are Music Genres and TY are Historical Figures. 5th Years are Decades and 6th Years are Sitcoms. Every other class in each year group will soon be divided and delegated a separate sub-theme within their year’s theme, apart from 2nd Years and 6th Years as we have decided to leave their themes open within all the classes. A lunchtime concert will be held on April 11th in the G.P Area. Everyone is encouraged to attend and volunteer to take part with music, dance, comedy, etc. if they so wish. Sophie Dempsey, Shania Quigley, Laura Furlong and Layla Fenlon. A.O.B: Green-Schools Committee & World Book Day. In addition to last week’s organisation, the final decisions were made for Random Acts of Kindness Week next week. Clodagh conversed with Mr. O’Shea who approved all that we needed permission for. Leah offered to ask the P.E Department for permission to use the P.E hall at lunchtime on Wednesday and Diana volunteered to converse with Peter and the cleaning staff about hanging post it notes around the school and on students’ lockers, which will be organised by Diana, Ella, Emma, Charlotte, Beau and Sallyanne on Monday evening to be ready for Tuesday morning. Different members of the council were also allocated to hand out sweets and play music each morning in the Foyer. Emma offered to provide a speaker for this and also, along with Ella, volunteered to take charge of announcements over the week. Finally, Anna conversed with Ann in terms of finance and Yvette and Alannah offered to buy the necessary supplies such as sweets, sticky notes and bubbles. A member of the school’s Green-Schools Committee, Holly Johnston from 6th Year, attended the meeting to inform the Student Council about the issue of the overuse of plastic. She highlighted the devastating effects that this has on the environment. The Green-School’s Committee have scheduled a meeting with Mr. O’Shea to speak about this issue in terms of our own school and asked if two members of the Student Council who are also passionate about the issue would attend. Anna and Krishna volunteered. Along with this, encouragement to use reusable bottles, the issue of contamination in bins and the possible reduction of plastic use was also discussed. World Book Day is scheduled for Thursday, March 7th of this week. The Library Committee and Ms. Kinsella have been promoting reading all of this week on the intercom but on Thursday the students and staff have been asked to dress up as their favourite book character. Mr. Broderick suggested that the Student Council also help to encourage this. Emma offered to make a further announcement about the dress up day and provide possible ideas for students to hopefully encourage as many people to take part. Sophie Dempsey, Beau Callery, Alannah Kelly, Sallyanne Connors and Layla Fenlon. The LGBT Week began on Monday with a small display of flags, etc, on the wall in the G.P Area. From a short meeting last Friday at lunchtime, we have scheduled face painting on Wednesday at lunch managed by Ella, Shania and Laura and a nail bar on Thursday, managed by Krishna and Anna. Diana will request to be allowed on the intercom to explain the week and notify students of the events taking place. Talks and plans of the subject choice fair are still ongoing. The TY students will make sure to ask permission of their teachers to be allowed out of class when the fair is scheduled to take place and the 6th year students will do the same also. Layla Fenlon, Charlotte Dowd, Shania Quigley, Laura Furlong and Krishna Ramesh. We are hoping to schedule the fair for TY students on Monday January 21st 2019 during the two non-exam classes for 6th year students in the G.P area. The stands will now solely be managed by 6th years due to timetabling. We plan to notify the 6th years and gather as many volunteers as possible for each subject. The TY students will also be notified and will have the concept explained to them and will be asked to prepare questions in advance. To prepare we must first finalise the date that suits both TY and 6th year students and also notify Ms. Foley of the idea. We will then assign 6th years to each subject to speak about an overview of the subject, coursework and answer questions and also bring examples of homework and tests, etc on the day. Signs for each subject’s stand will be made and finer details organised once the first preparations are in order. We hope to be in order to hold the LGBT Week for next week, beginning Monday, January 14th. We plan to hold another meeting on Friday at lunchtime to organise fully but the basic plans include a display on the student council noticeboard, which Diana has posters, flags and printings to decorate with. We also wish to stick with our previous plan of providing face paint on one of the mornings of the week. Ms. Jordan approached us to discuss Mary Ward Week, beginning Monday, January 21st . 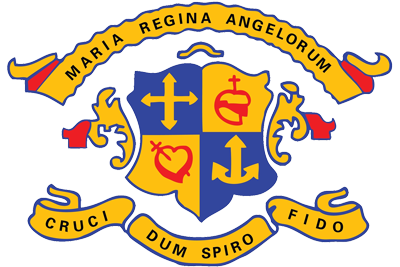 Mass will be held in the school at lunchtime on Thursday, January 24th and Ms. Jordan has invited the student council to attend and help with the service. She has asked Leah to do a reading, Gia to read some quotes from Mary Ward and Emma to sing on the day. Layla Fenlon, Sallyanne Connors and Charlotte Dowd. The main event from the student council for Christmas Week is Monday morning’s game. Christmas characters such as Elf on the Shelf will be hidden around the school at lunchtime and the first person to find each of them will be given a prize. The prize will be a selection box. Ella offered to go out and buy all the necessary prizes and also candy canes to be scattered around the school for students to find. Guess the song is to be planned as normal for Tuesday on the intercom also. We also plan to ask permission for Christmas accessories (such as socks) to be allowed for Wednesday of the week. The tutoring system has been decided to be reviewed in the future after Christmas as a result of low numbers attending. Leah Oliver, Sophie Dempsey, Charlotte Dowd, Alannah Kelly, Layla Fenlon, Sallyanne Connors and Yvette McDonnell. The subject choice fair will feature 6th and 5th year students. Roughly four girls (two from 6th and two from 5th) will be assigned to each choice subject to manage the respected subject’s stand on the day. The date and the time, whether inside or outside of school hours, is still to be decided. Many 2nd years have stopped attending the sessions. To assess the situation, a meeting will be held at the start of lunchtime with the 6th and 5th Year tutors.